Anyone who is smart will be impressing others by putting smart home gadgets under the Christmas tree this year. 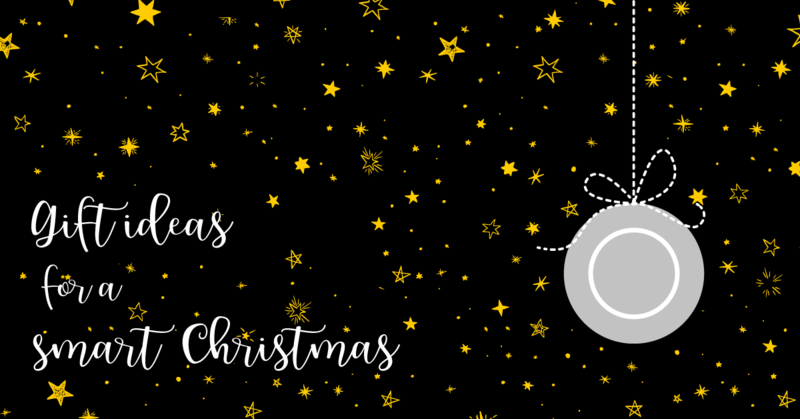 We would like to introduce you to the latest trends and present a selection of gift ideas with a guaranteed WOW effect that will suit any budget. The Alexa Voice Remote can be used to launch and control all your favourite movies, TV series, audiobooks and music. 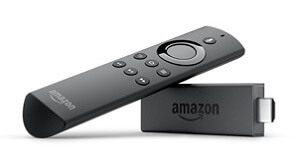 The Fire TV Stick streams the desired multimedia data from the Internet and plays it on compatible TVs, sound bars and receivers. The latest model is the Fire TV Stick 4k, which now also supports Ultra HD. .
A stylish air-quality meter that uses its sensors to measure the level of toxins, chemicals, dust and CO2 in rooms, as well as the humidity and temperature. The app not only offers an overview of the prevailing air quality, it also helps you to find out why you’re not sleeping well. The app also offers plenty of helpful tips for improving the quality of indoor air. Whether one really needs such a gadget is another matter. The fact is that the Awair improves the sleeping environment through its natural materials and modern design alone. . 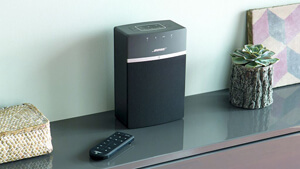 This compact, wireless streaming speaker is a real eye-catcher and delivers a powerful sound experience in the quality one would expect from Bose. It’s Wi-Fi and Bluetooth compatible, so you can play almost anything. The One-Touch function offers easy access to music services such as Spotify, Amazon Music or Deezer, as well as Internet radio stations and playlists. Control via voice command and app. Admittedly, this gift idea has provoked some strange reactions from non-dog owners, including those in our editorial office. Be that as it may, dog-mums and dog-dads all agree that this is an absolute must-have! 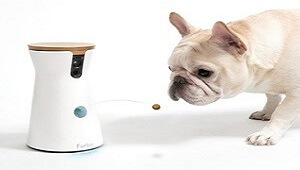 With this elegant home accessory, you can always keep an eye on your four-legged friend. You can also talk to your dog and reward him or her remotely with treats. The app will even notify you when your dog barks, in case there’s something wrong. 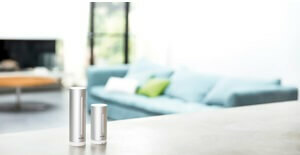 This smart weather station for indoor and outdoor use is encased in a robust aluminium housing. At 5-minute intervals, the sensors measure the ambient temperature, humidity, air quality, air pressure and even the noise level. All the measurement data and weather forecasts can be accessed through your smartphone, and you can also configure individual alerts. For example, you can always be reminded when you ought to air your home again. 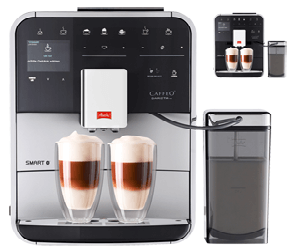 The Melitta Caffeo fully-automatic coffee maker is equipped with a milk container, and with smartphone control, it’s a great gift for anyone who wants to put “smart” into the experience when they enjoy a coffee. You can program your favourite coffee specialities individually for up to 8 people and prepare two hot drinks at the same time. The stylish colour display with Touch & Slide function will also impress your guests. Two types of coffee can be loaded into the bean compartment, so you can cater for all possible tastes. Cleaning away milk foam residue is just as easy as preparing the coffee: just press the button. The new generation Nuki Smart Lock allows you to turn your smartphone into a door key and to experience a whole new level of convenience in your life. Best of all: The Nuki Smart Lock is a simple retrofit solution for existing door locks and therefore ideal as a gift. When you have a Nuki, you can conveniently lock your front door with your smartphone, open the door automatically when you come home, and manage access authorisations for your family, friends or service providers through the user-friendly Nuki app. The Smart Lock is compatible with Apple HomeKit, Amazon Alexa and Google Home, so it can easily be integrated into your existing smart home system. 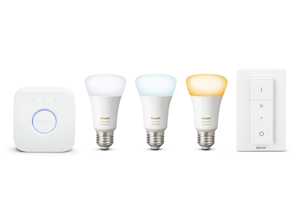 The Philips Hue starter set is quick to set up. The LED bulbs are simply connected to the Bridge and activated through your own smart home environment. The colour temperature ranges from 2000 to 6500 kelvins. The app allows you to choose from 16 million colours and to synchronize the light with music or movies. Several different “starter kits” are available, all of which have an infinite number of light settings. Don’t think it’s a great idea to give someone cleaning equipment for Christmas? Think again! When the equipment is as stylish and smart as the VR7000M, it’s a welcome sight under any Christmas tree. 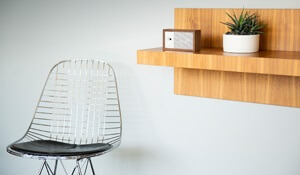 The FullView Sensor 2.0 detects walls and obstacles and navigates through rooms with ease. 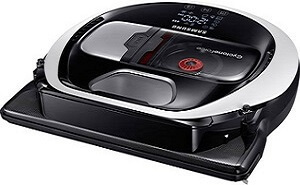 This powerful cleaning buddy is made even more enjoyable to use by automatic floor surface detection, a quiet mode and the Point Cleaning feature. Yes, you read correctly: In addition to vacuum cleaning robots, there is now also a sleep robot. It promises to help you fall asleep and then provide a deep and restful sleep. How does it do that? The Sleep Robot automatically synchronises breathing and puts the body into relaxation mode. If you wish, you can be lulled into blissful sleep by soothing meditation music, gentle sounds or even the sound of heartbeats.